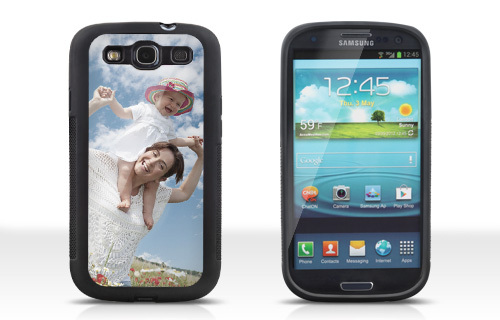 Create your own unique design on a Samsung Galaxy® S3 case. Protect your Samsung Galaxy® S3 against shock, scratches and damage and make it unique! 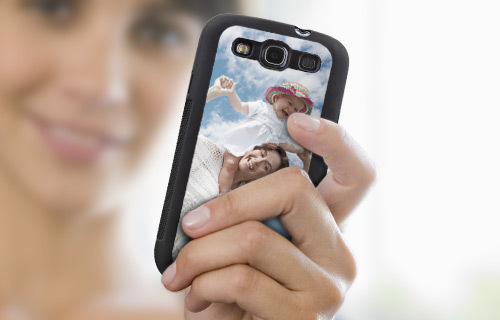 Personalise the back of the case with your favorite snapshot to create a completely individual cover. The cover is made of an aluminum and rubber border. Precise cutouts in the case ensure optimum functionality & the high quality printing and aluminum plate ensure that your smartphone is not only well protected, but also looks stunning.